TruView is pleased to unveil DriverMonitorTM Powered by TruView, a new driver risk management program for clients who want to increase their driver safety program and decrease risk exposure. 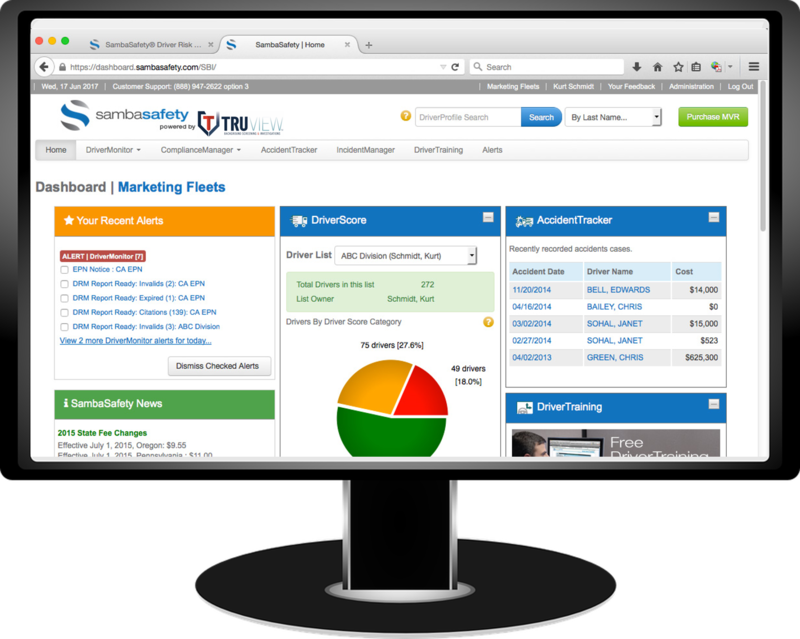 The result of a partnership between TruView and SambaSafety, a leader in driver management software, DriverMonitor Powered by TruView provides direct connections and real-time access to driver records in all state motor vehicle licensing agencies. With DriverMonitor, employers are informed of changes—violations, DUI arrests and convictions, invalid or expired licenses, and so forth—as soon as they hit the system. Notifications are customized to whatever frequency and by any schedule the employer chooses. As a replacement for the typical, one-time pre-hire and annual check, DriverMonitor Powered by TruView is an indispensable risk management tool for proactive companies and agencies. Having the right information at your fingertips gives you the ability to make informed decisions, quickly and cost-efficiently, while maintaining a safe and qualified driver risk management program. With DriverMonitor Powered by TruView, you can identify high-risk drivers, modify behaviors and reduce the potential for accidents, and ensure legal compliance—all while lowering costs. Immediate access to different MVRs, such as violations and fines, accidents, points, DUI, etc. For information on how you can take advantage of DriverMonitor Powered by TruView and improve your driver risk management program today, please contact Nicholas M. Auletta, CPP, President, at 917-701-1955 or nmauletta@truviewbsi.com.